What new car option is the biggest rip-off? Among the many pitfalls of buying a new car, blowing your budget on overpriced options can be one of the most annoying (and preventable) missteps. Whether from the factory or dealer-installed, some options just aren't worth the money. What car option is the biggest rip-off? From the choose-your-crook department: For my money, it's the infamous "VIN etching" scam. 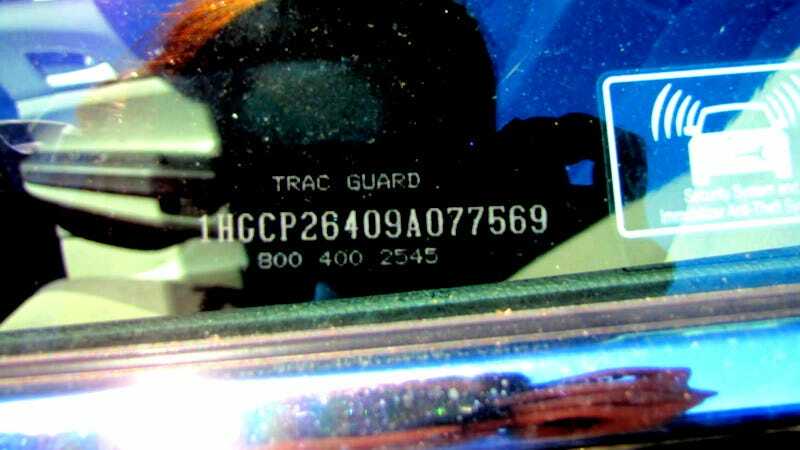 Etching a car's VIN number on its windows can protect your ownership investment, but paying $300 or more for the service is a crime. How does VIN-etching work? Engraving a vehicle's ID onto the windshield and windows puts a speed bump in thieves' plans, since they'd have to either replace the glass before selling the car, or take a loss on the glass pieces themselves, which can bring in good money on the lucrative black market. But while some insurance agencies offer discounts on VIN-etched cars, there's no need to pay the huge dealership mark-up. Buy an etching kit and do it yourself. Better yet, look into community-sponsored VIN etching events — or organize one yourself with the local cops.